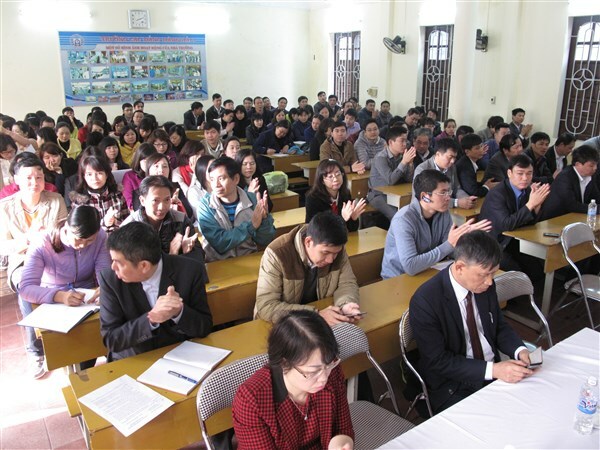 On March 28, 2016, in the Hall A3, Maritime College No.1 held a conferenceof the first semester review and implementation of the enrollment plan in 2016. Among the attendees at the conference are the RectorBoard and all staff of the college. 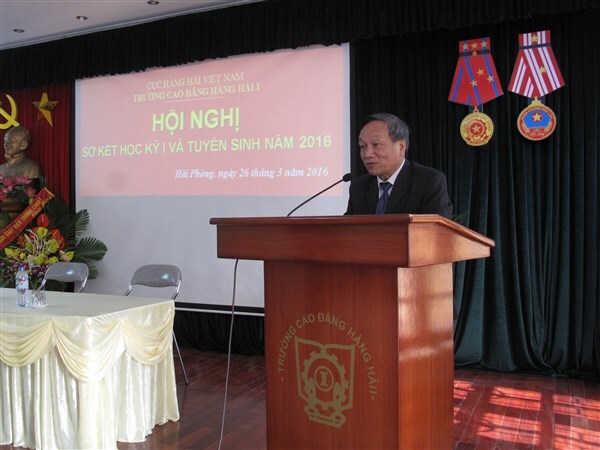 Addressing the opening speech, Phan Van Tai – Meritorious Teacher – The Rector of the College has asked all staff of the college in the spirit of democracy, frankly to point out the shortcomings of the training and enrollment in 2015 and also propose all possible solutions on the work of enrollment in 2016 to give the conference the discussions. 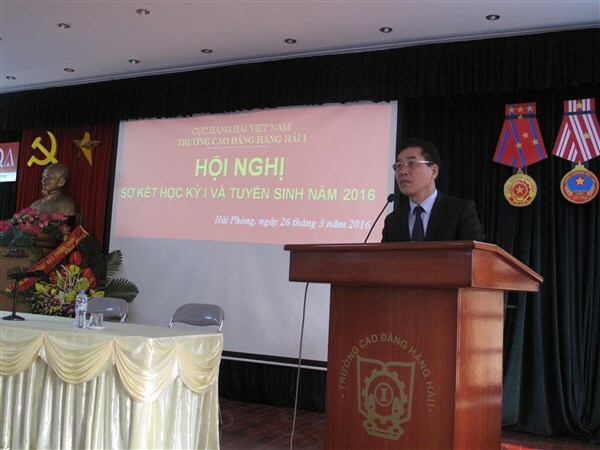 At the meeting, Vice - Rector Vu Van Dung presented the preliminary report on the first Semester anddeployed the training tasks of the second Semester of the school year 2015-2016. In a report, he highly appreciated the achievements of the staff and students in the first semester. 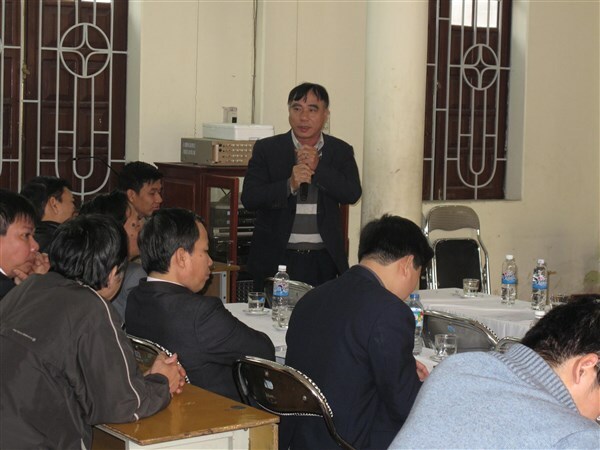 However, during the implementation of the tasks, there are still shortcomings needed to be overcomein the coming time. 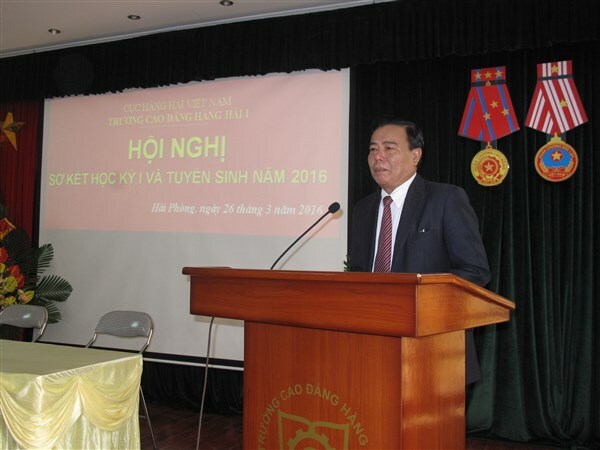 In accordance with the supplement and amendment of the Enrollment Regulations to college and university in 2016 and the fact of the enrollment in recent years, with the goal of reaching enrollment target as registered with the Ministry of Education and Training, the Head of Training Department, Mr. Quang Trung Luong - MA presented to the Conference enrollment regulation and recommended promoting measures suitable to difficult situation in the current enrollment work. 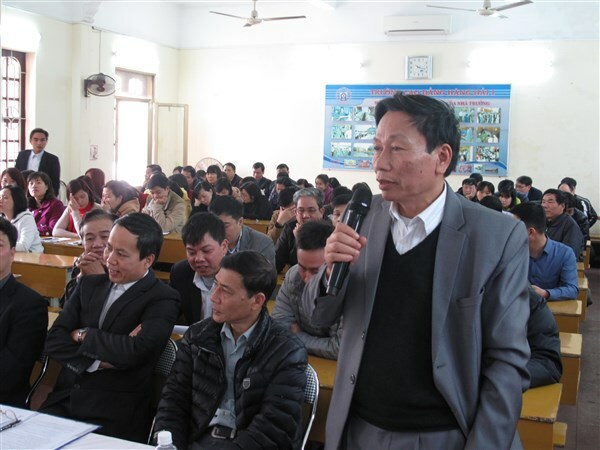 With the goal of improving the quality of education, traini ng and reputation and position of the college, all the staff discussed and recommended some solutions to reach targets. Addressing the closing speech, the Rector of the College required all the staff to try their best to overcome the shortcomings in training. He also highly appreciated the spirit of solidarity, democracy and responsibilities of thestaff of the college, whohad great contribution to the enrollment targets in 2016.